Just Up The Channel. A World Away. 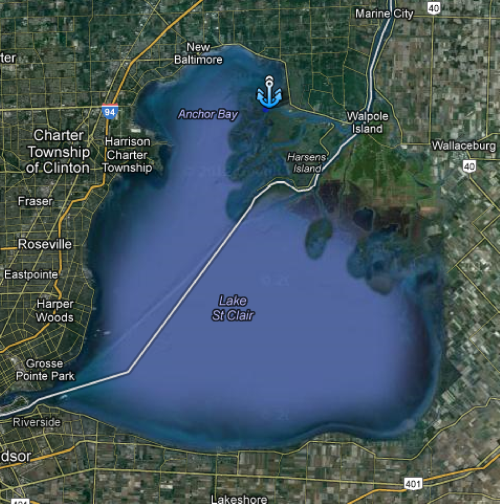 Latitude = 42°37'.59" N. & Longitude = 82°38'.74"W.
NCYC is located on a four-acre island where the North Channel flows into Anchor Bay at the northeast corner of Lake St. Clair. The Island lies east off the Bay at the intersection of the North Channel and the Chenal A Bout Rond. You enter the North Channel where the buoys begin in Anchor Bay and proceed two miles east to our well-marked Island on your starboard. 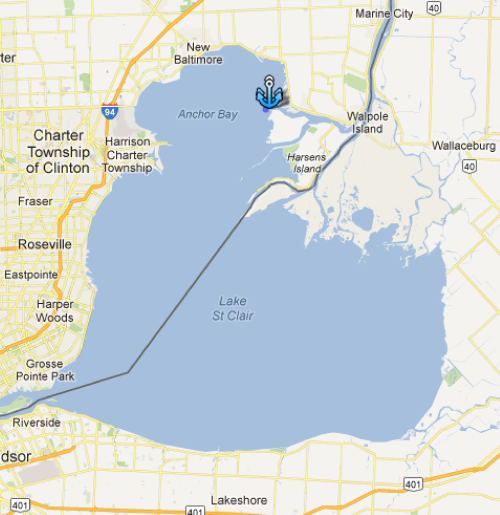 From the St. Clair River, bear into the North Channel at Algonac and proceed to the no wake zone. Our Island is surrounded by that no wake zone so, weather permitting, your vessel will rest peacefully in one of our 10 guest slips. Proceed on M-29 to one mile East of Fairhaven and turn South on Anchor Bay Drive. The NCYC parking lot is located at the end of Anchor Bay Drive, a distance of 2.5 miles off M-29. At our mainland dock alongside the lot, you hail the Clubhouse and one of our three “Fin runners” (shuttle boats) will be dispatched to transport you to the Island.